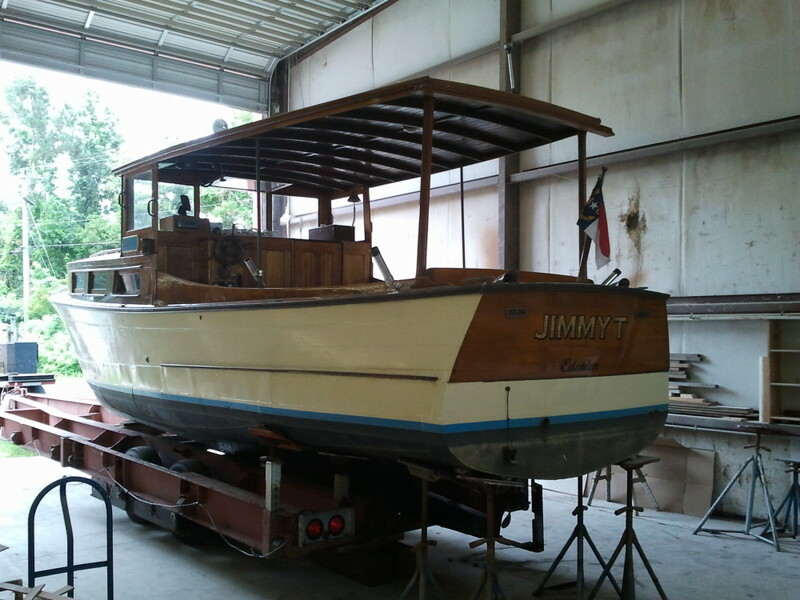 The south bay of the shop has been filling up with historic and classic boat projects for maintenance and repairs. One of the things that makes my job so fun is getting to study these boats, whether they’re built locally or “from off,” while we’re working on them. There’s something to be learned from each and every project, no matter how big or small. And sometimes it’s just a privilege to touch a boat with such a history. 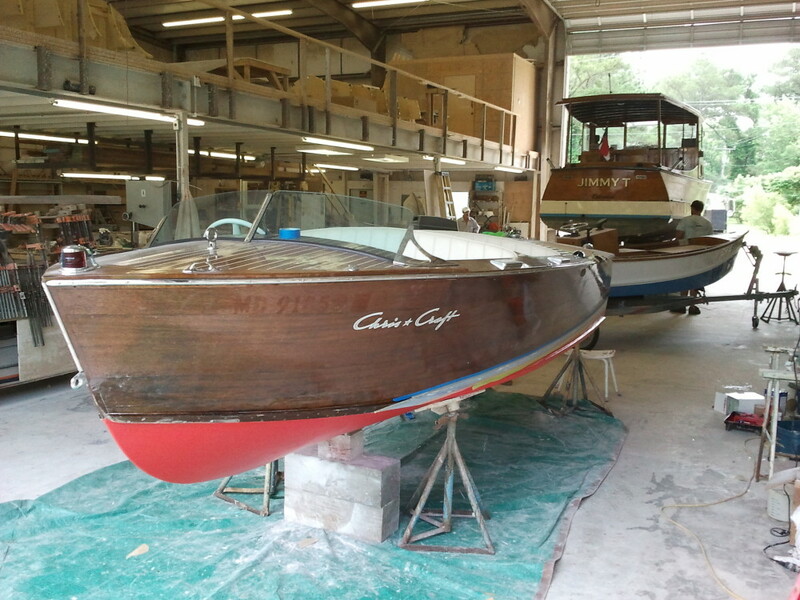 Here are few of the interesting boats that have come through the Harrison Boatworks shop lately for one boat maintenance or boat repairs. Click on the image if you want to enlarge it. This vessel required a new shaft log and shaft seal. 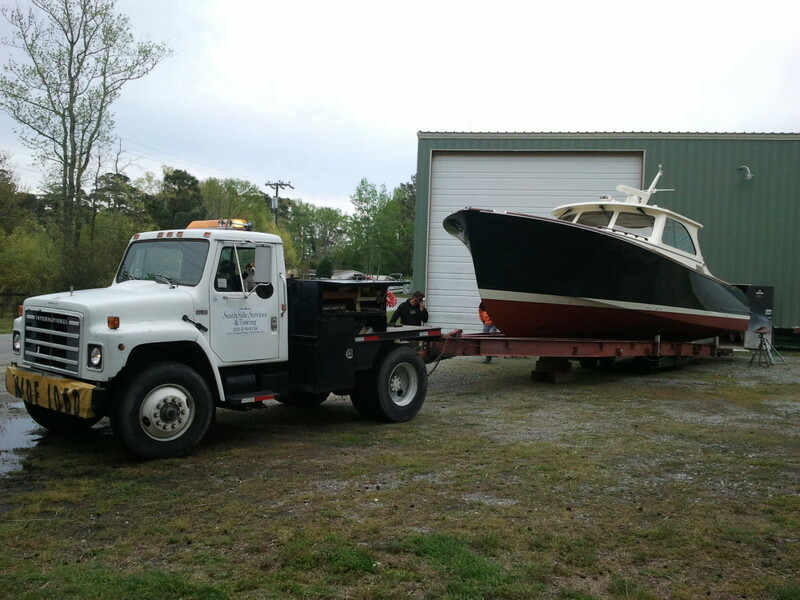 It was transported to Harrison Boatworks from Edenton by our friend Luke Meekins of Southside Services. This is a good example of an early version of a picnic-style boat. You’ll see this design approach refined in the Hinckley Tilaria. 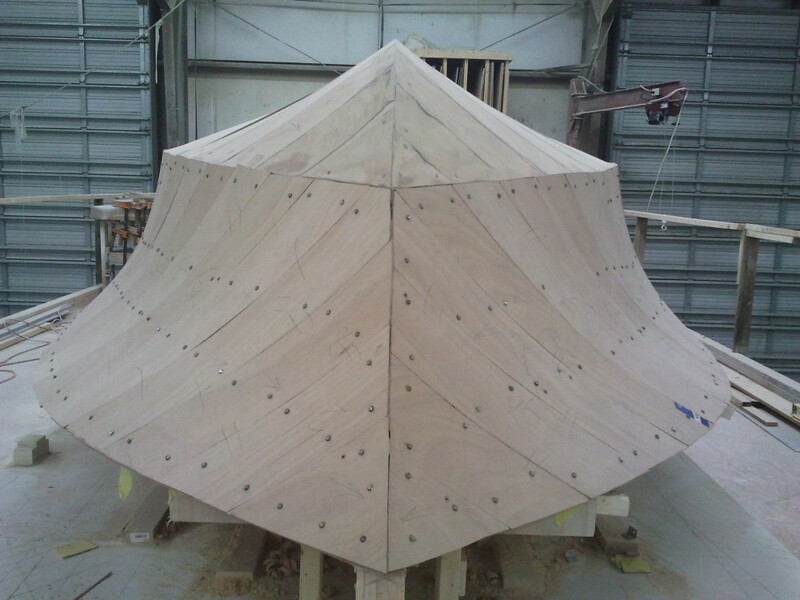 This vessel was a project that Billy Barwick took on. 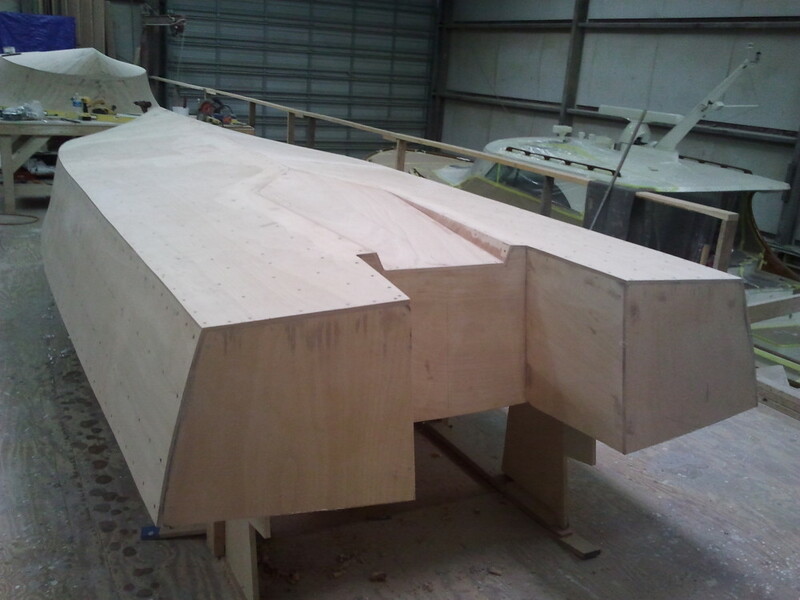 He fiberglassed and faired from the waterline down and next year he will be refinishing the topsides. 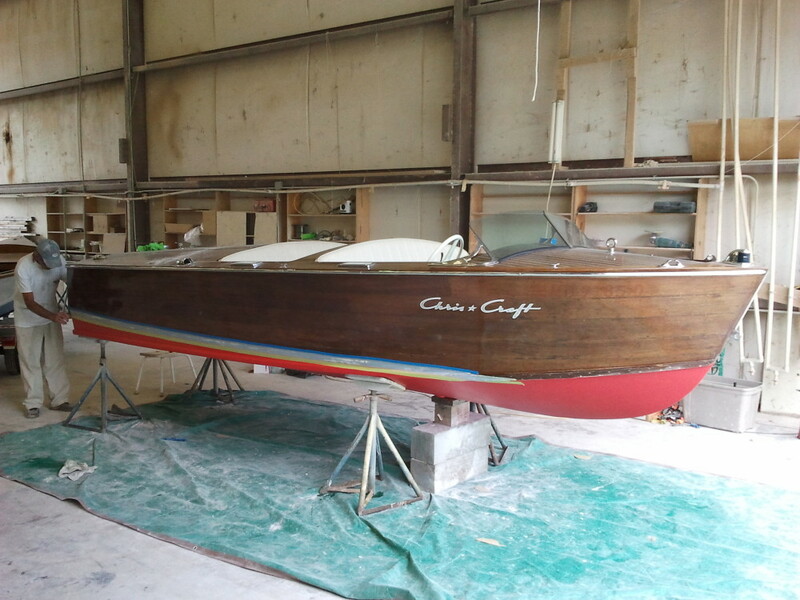 This is a classic boat that anyone would want to own. If you live in North Carolina there’s a real good chance you’ve seen a boat similar to this one. Harrison Boatworks redid the interior of this boat, i.e., custom console, added casting decks fore and aft, all finished britework and engine and steering installation. This is a prime example of the shapely design of the North Carolina state boat, which was originally used for commercial fishing under sail. George Washington Creef designed the first shad boats based on sailing vessels that he saw in the Bahamas. This particular boat is owned by my new neighbors Wayne and Nancy Gray of Wanchese. I was very excited to have this piece of history in the shop. Our good friend Buddy Creef, who visits the shop often, is a direct descendant of the man who brought this shape to our state. 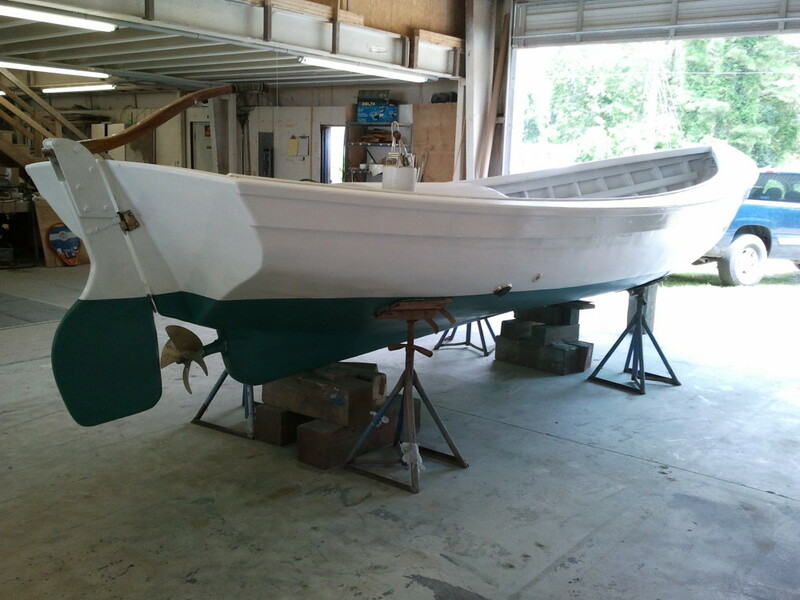 Harrison Boatworks has repainted the bottom, the hull and the washboards and fabricated a few new parts for the rudder. 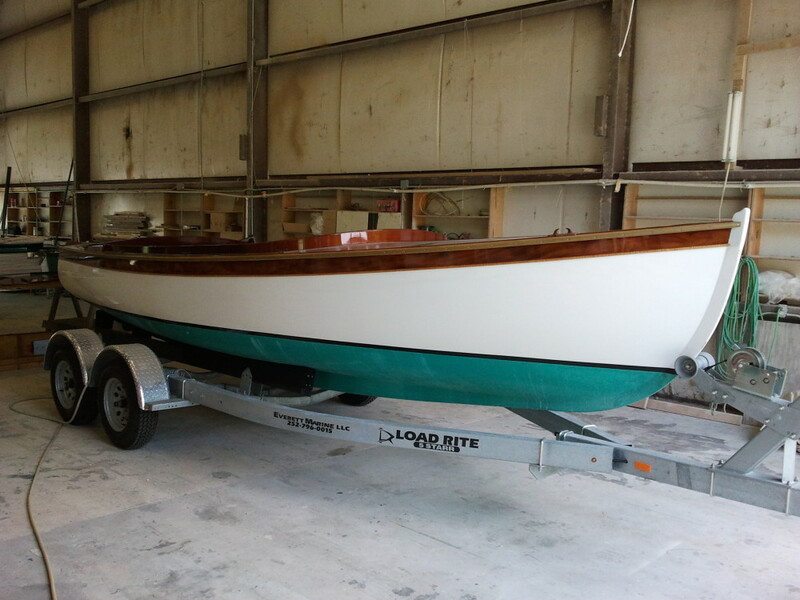 Bayliss Boatworks did the restoration on this boat a few years ago. 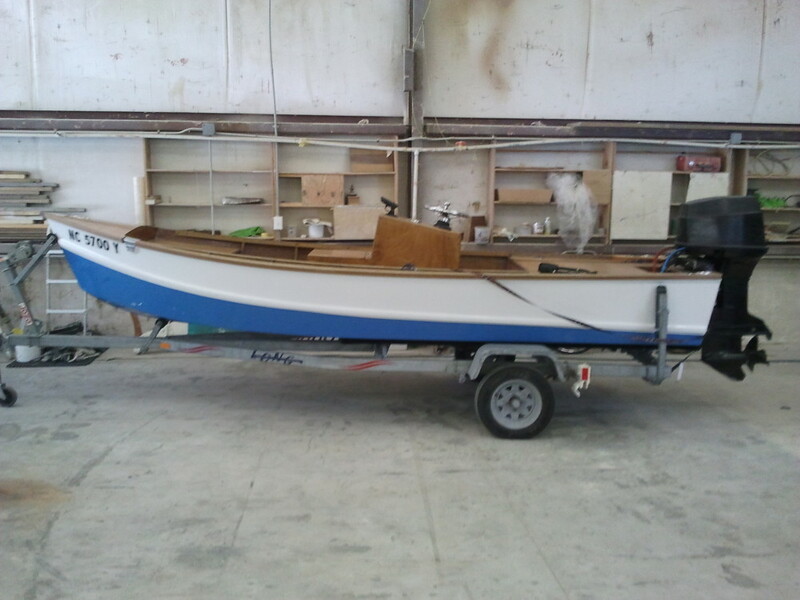 Harrison Boatworks was charged with the task of putting this boat together and making it run with an electric motor powered by four 8D batteries and a mechanical steering system that is very interesting. 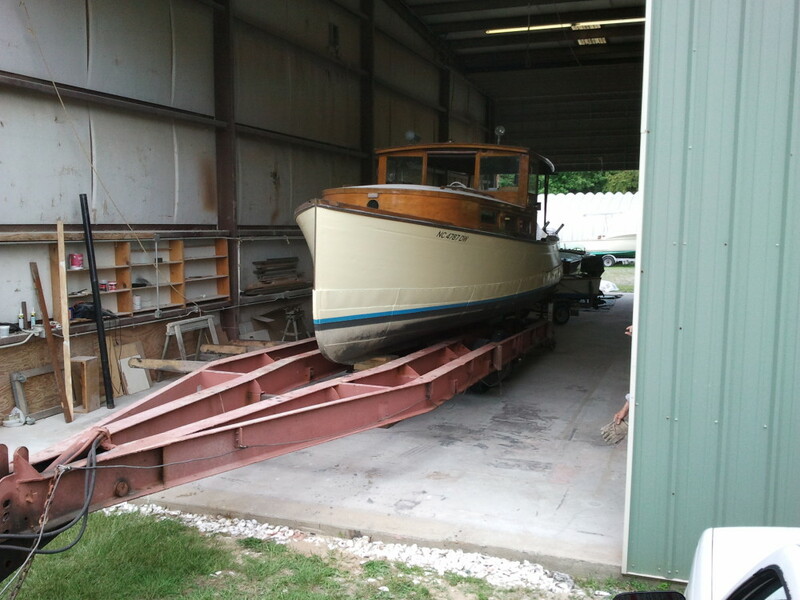 This boat was built by Tom Hesselink in Marshallberg, N.C.
At Harrison Boatworks, this vessel has undergone extensive work, including a total bottom job, jet-drive maintenance, varnish work and a number of other maintenance services, as well as multiple deliveries to different destinations for the owner. 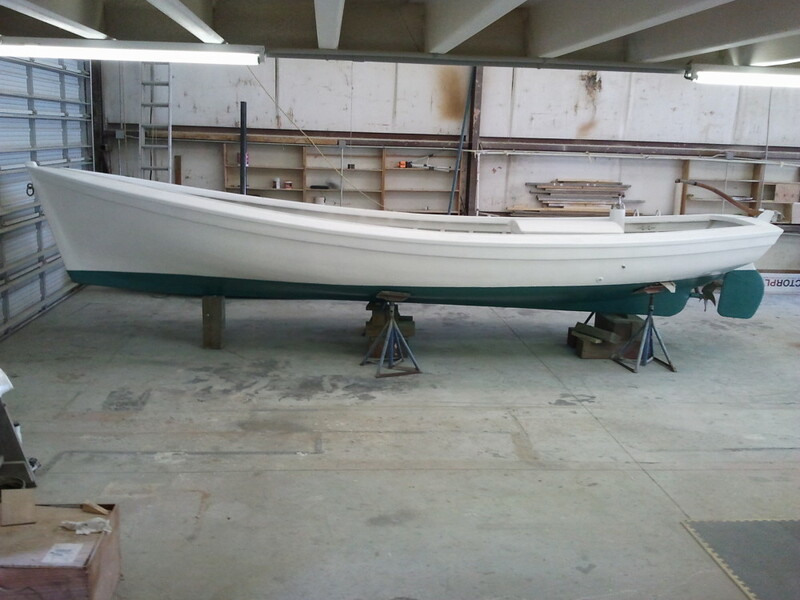 In addition to all these transient boats, we also have two models coming out this summer. 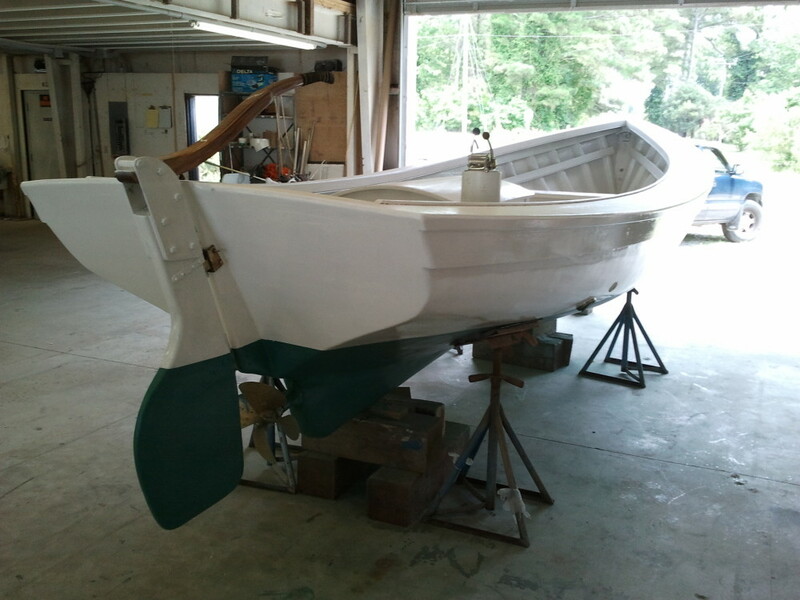 This one is the new Harrison Boatworks 19′ Center Console Tunnel Skiff. This is also a new model that will be coming out at the end of this summer — the Harrison Boatworks 18′ Tournament Series Flats Boat. Both new models are powered by the 70 hp 4-stroke Yamaha. More to come on these two.